The Chinese smartphone giant, i presume you all know who they are, The maker of the widely spread Mate 8 with a whooping 6″ screen, spotting a power breaker of 4,000 mah Battery, not to forget its recently launched Huawei G Power, a 5 inch smartphone, with a powerful 4,000 mah battery as well. 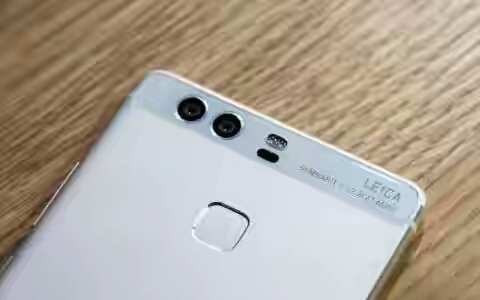 The manufacturer as decided to introduce another brilliant, powerful and of course elegant smartphone, a dual camera smartphone, tagged Huawei P9. If not all of its users will attest to its great picture quality as regards the camera, few phones can actually compete with Huawei when it comes to Camera Picture Quality. Huawei partnered with German camera company Leica to develop the cameras, one of which shoots in full colour, while the other is monochrome. The dual-camera technology, which is reportedly rumored to be used in Apple’s iPhone 7, this means users can effectively refocus the picture after it’s been taken. The lenses work in harmony to create a composite 12MP image with sharper contrast and better depth of field than more traditional lenses, the company claimed. Huawei’s models differ in size. The P9 sports a 5.2-inch 1080p display, while the P9 Plus measures in at 5.5-inches. The full range of P9 shades, The P9 comes in six shades; dark grey, silver, gold and rose gold (much like Apple’s current colour scheme), what Huawei calls ‘haze gold’ and white. Both smartphones are powered by a 64-bit processor, feature a biometric fingerprint scanner on their backs and are manufactured from aluminium. The Telegraph reported that The Huawei P9 will retail from £449 for 3GB of RAM and 32GB of storage, with pricing for the P9 Plus starting from £549 for 4GB of RAM and 74GB.